YouTube Advertising is a great ad platform to gain exposure. Video ads are lot more engaging and has been proven to have a much better recall than text ads. With over 1 billion unique visitors each month, you can bet you’ll be getting your message across. And this goes for companies that are B2B company as well. Video increases the viewers understanding of the primary message 74% greater than text ads. An average video consumer spends 16 minutes watching video ads each month. 80% of Internet users remember the video ads they watch online. Last but not least, consumers are 27 times more likely to click on a video ad than a banner ad. This means that you might want to skip the banner display ads this month and try out YouTube with GoLocalExpert. A pre-roll is a video ad or commercial-like video that precedes the main video.YouTube refers to them as In-Stream video advertisements. In-stream ads are generally 15, 30, or 60 seconds in length and are inserted into videos by YouTube partners. You can choose from a variety of in-stream ad options based on your goals and budget. Popular choices that are mobile-friendly include the following. TrueView in-stream ads – Ads that let viewers choose to view or skip after five seconds. Advertisers pay only when a viewer has watched the full ad, or a minimum of 30 seconds of it. In-stream select ads – Ads that let viewers choose to view or skip after five seconds. Advertisers reserve the ad inventory and are charged whenever their ad loads, regardless of whether a viewer skips it after five seconds. Standard in-stream ads – Ads that are not skippable and generally are 15 – 30 seconds long, depending on the length of the video they are preceding. The basic specification for using a new or previously uploaded YouTube video as a pre-roll ad is that the video that is public and embeddable with a minimum resolution of 480×360 (4:3 aspect ratio) or 640×360 (16:9 aspect ratio), and filmed at a 30 FPS. Ads must be family safe, and the destination URLs they promote must not contain non-family or adult content. YouTube offers a guide on how to create a great pre-roll ad video, which includes a checklist of equipment you will need plus nine tips on creating a great video. The best tip out of the bunch is to make sure you grab your audience’s attention within the first five secondsso they don’t skip your ad. To create a video pre-roll ad campaign, you will want to create your video ad, upload it to YouTube, and then set up your campaign in your Google AdWords account by creating a new Online Video campaign. If you are familiar with a Google AdWords ad campaign setup, this is going to be a familiar process. You will choose standard or accelerated delivery of your ad, specific networks to show your ad upon (YouTube Search, YouTube Videos, and/or the Google Display Network), and the language / location of your targeted audience. The ad creative in this case will be a link to your YouTube video. You will also want to configure the Advanced Settings to specify the duration of your ad, the goal of your ad (views or conversions), number of impressions for each unique viewer, and device targeting. Following this, you will be able to set up your targeting groups based on age, gender, interests, videos on specific topics, remarketing (people who have visited your website), keywords, and specific video placements on YouTube and the Google Display Network. Want to hear how brands like GoPro, RedBull, Adidas, and others have leveraged YouTube? Contact us and we will show you. The HTTP we are all familiar with is now in its way out. While it has done its job quite well for the past few decades, it’s now become inefficient in today’s data heavy websites. Spriting: taking multiple images, combining them into one image, and using CSS to only show part of that image in a particular place. Concatenating: Taking multiple CSS or JS files and sticking them into one large file. Serving assets from a cookie-less domain. Sharding: creating different domains or sub-domains to host assets like images. The first two techniques are aimed at avoiding multiple HTTP requests. In HTTP1 a request is a very costly thing and takes a lot of time, each request may be loaded down with cookies that must be sent as part of the request, and none of it is compressed. It’s faster to lump a bunch of things together and get it all done in one go than to keep asking for different resources. The last technique, sharding, is because browsers used to only allow two simultaneous HTTP requests per domain. If you create a new domain for some of your assets, then you double the amount of simultaneous connections the browser will allow in order to get your files. Thus, you can pull the website content down faster. In reality, sharding hasn’t been too useful in the last couple of years because browser vendors decided the ‘two connections’ restriction was daft, and they ignored it. Here’s some good advice! Do not use those HTTP1 based best practices with a website being served over HTTP2. It also means that all of those HTTP1 performance techniques are harmful. They will make a HTTP2 load slower. HTTP2 makes the cost of multiple requests far less because of a number of techniques it does itself. It can leave the connection open for re-use for very extended periods of time, so there’s no need for that costly handshake that HTTP1 requires for every request. HTTP2 also uses compression, unlike HTTP1, and so the size of the request is significantly smaller – and thus faster. HTTP2 multiplexes; it can send and receive multiple things at the same time over one connection. The long and short of it is; when you build a front-end to a website, and you know it’s going to be served over HTTP2 – you need to ensure you’re not using legacy HTTP1 performance techniques that are going to harm the site under HTTP2. Two years ago, eBay promised same-day delivery for products sold by local stores, but after some bad news from its executives, eBay has terminated the project. The company has now pulled the “eBay Now app” from the iOS and Android app stores. The thing is, eBay’s idea would be cannibalizing its current services, and as analysts projected, it didn’t really provide a reasonable enough ROI. In addition to it being operationally expensive and logistically complicated, Google and Amazon, have invested plenty of time into their own version of same-day delivery and neither of them are still quite where they’d like to be. Let’s see, perhaps eBay will try to bring that focus on super-fast deliveries to the website and mobile apps it’s already nurturing. 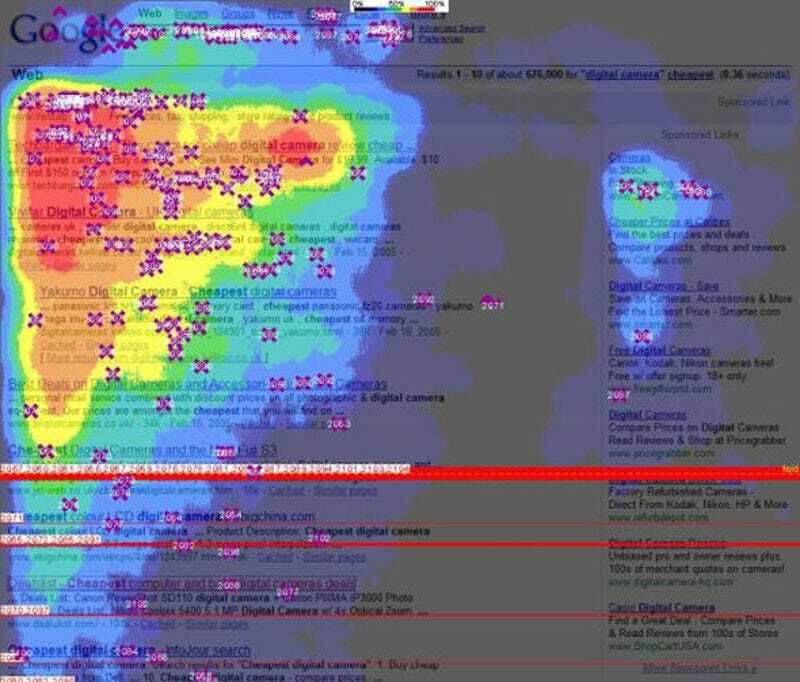 Thanks to eye-tracking technology, website heatmaps now reveal where we really look. 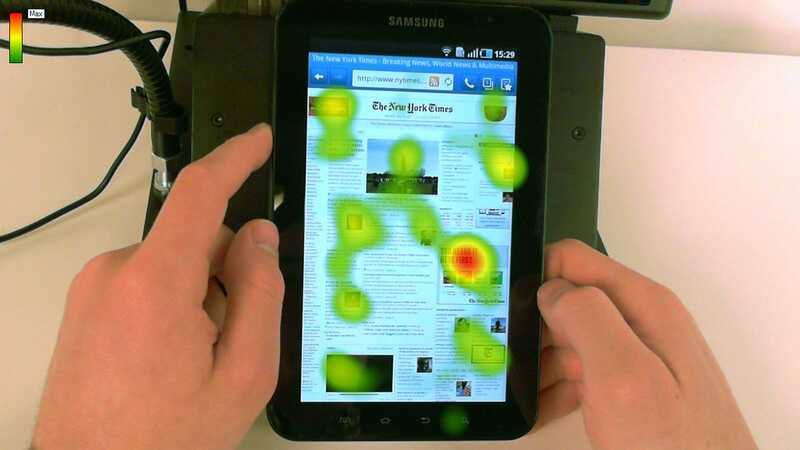 Tracking eye movements can give us fascinating information into advertising and design and reveal a few things about human behavior. Everyone focuses on the face in this Dolce & Gabbana ad. The ad gets very little viability. Viewers of both genders are more likely to look at the woman’s face. When using men images, individuals tend to read more text. Images and special text boxes get more attention. 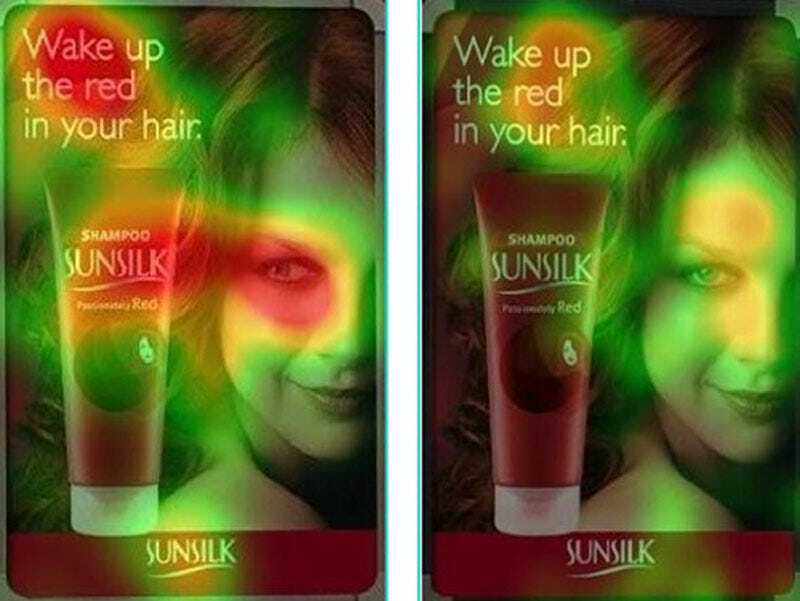 This ads indicated that just putting a pretty face on the ad isn’t enough, It also matters the individual is looking. On Google, the top five listings get the majority of the attention; All else is just wasting money.